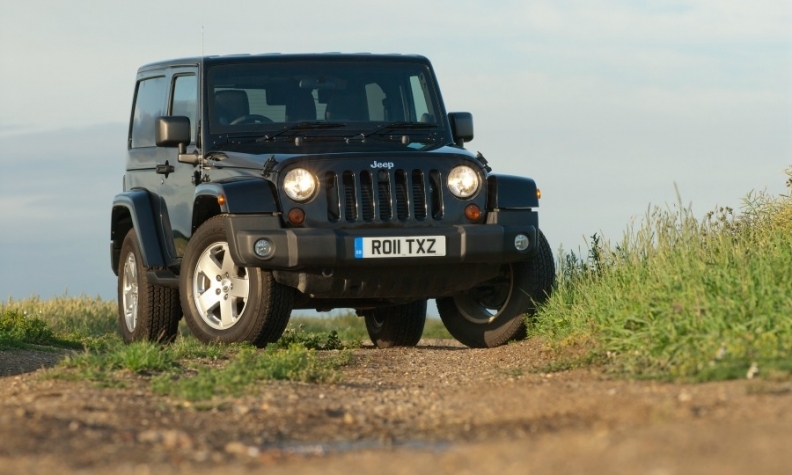 Marchionne said the Jeep brand, including models such as the Wrangler, could help FCA double profit. DETROIT -- Fiat Chrysler Automobiles has no intention of breaking up the company or selling the Jeep brand to China or other parties as it is counting on the marque to drive future profits, CEO Sergio Marchionne said. "We're not going to break up anything," Marchionne said at a news conference at the Detroit auto show on Monday. "We have no intention of breaking it up and giving anything to the Chinese." Marchionne said the Jeep brand could help FCA double its net profit. FCA's share price has jumped more than 30 percent this year on a bullish outlook for the auto sector, Jeep growth expectations and speculation that Marchionne's final year at the helm could prompt strategic deals such as spinoffs, technology alliances and disposals. The popularity of the Jeep brand, which is targeting sales of 2 million vehicles this year, has prompted talk it could be spun off from the group, as happened with tractor maker CNH Industrial and Ferrari, or sold off. Rumors have resurfaced that Guangzhou Automobile Group might be interested in snapping up part of FCA. Marchionne said FCA and GAC have partnered to deliver Jeeps to the Chinese market and FCA is talking to the Chinese automaker about helping it enter the U.S. market. However "none of these things are designed to impact on the independence of FCA." FCA has often been the subject of merger speculation, especially after its unsuccessful 2015 attempt to tie up with General Motors. Its share price jumped to record highs in August after reports of interest from China's Great Wall Motor and South Korea's Hyundai Motor. Marchionne said he has recommended to the company's board that the automaker spin off Magneti Marelli, a maker of components for lighting, engines, electronics, suspension and exhausts, to shareholders by the end of 2018. He confirmed FCA's targets for 2017 and for 2018, including a plan to erase all debt and generate up to 5 billion euros ($6.14 billion) in net cash. Asked about the possibility of paying dividends, Marchionne said the markets had changed and "it makes more sense to buy back shares than pay a dividend." The 65-year-old executive is due to step down in early 2019, and a successor will be appointed from within FCA. Finance chief Richard Palmer, European head Alfredo Altavilla and Jeep boss Mike Manley have often been cited as possible candidates, according to sources close to the company. Marchionne said there are other possible candidates who are not in the media spotlight. FCA announced last week it will shift production of Ram heavy-duty pickup trucks from Mexico to Michigan in 2020, a move that lowers the risk to the automaker's profit should President Donald Trump pull the U.S. out of the North American Free Trade Agreement. "I think we’ve done the right thing by the American market, by the U.S. consumer," Marchionne said, "... and I think we’ve addressed Mexican concerns" about production with plans to repurpose the company's Saltillo, Mexico, plant to build commercial vehicles for sale globally. Marchionne said the U.S. tax code overhaul passed in December would provide a $1 billion boost to the company in 2018, noting that the overhaul "was to make sure the economy got a boost... develop a sense of confidence about the future, and that's exactly what we as an automaker in the U.S. were waiting to hear." Marchionne also said electric vehicles will eventually form a large part of vehicle lineups, "but it's a lot further off than people think" in part because they are not profitable for automakers. "I don’t know of a guy, or a person or an entity or economic organization that is making money out of selling electric vehicles unless you’re selling them at the very high end, which is rare," he said.